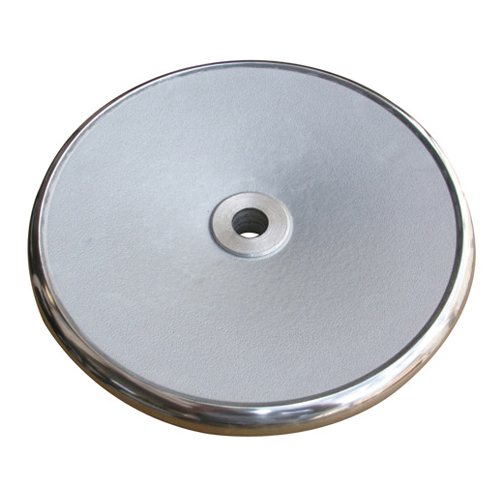 Request a quote for Aluminum Handwheel Without Handle today. This handle-less handwheel from JBF National is made from the highest quality aluminum and has been designed and tested for ultimate reliability and durability. This handwheel features a plain aluminum center disc, a polished outer rim, and a handle-less design that allows for space saving maximization. Various diameters and bore sizes available. Please see component diagram below.